How do you assure the best care to all patients in your healthcare facility? Support physicians to make the best clinical decisions to rapidly implement therapies? Leverage the latest technologies? Find ways to maximize staff competencies? At bioMérieux, we provide a number of services to help you bring your healthcare organization to top efficiency. Organizational efficiency is the most effective way for healthcare executives today to assure quality care to rising numbers of patients – sometimes even in spite of cuts to resources, staff and budgets. At bioMérieux, our 50 years of experience working with diagnostics laboratories gives us the know-how to help you build greater efficiencies in the lab and throughout your facility. By ensuring optimal efficiency every step of the pathway from the diagnostics lab to the patient bedside, you gain the capacity to bring quality care to all patients. Reliable diagnostic results delivered rapidly to clinicians means that apporpriate therapies can be implemented sooner. bioMérieux experts can help you review your current lab practices with a Lab Performance Assessment. Together, we’ll find ways to get the most out of your existing equipment and turn staff skills towards the most relevant tasks for best use of time and workflow. 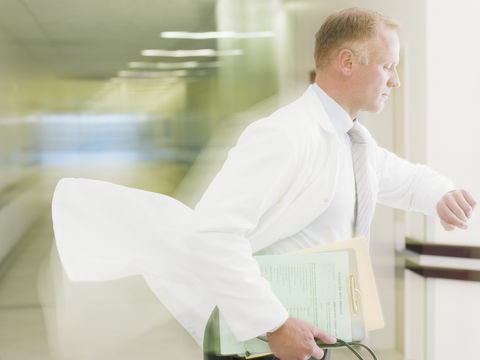 The resulting efficiencies impact patient care through rapid turnaround of reliable results. To boost your efficiencies even further, bioMérieux brings you the Full Microbiology Lab Automation – FMLA® – concept, a comprehensive solution for the automation of microbiology laboratories. We look at the lab as a whole, so instruments work together seamlessly for excellent workflow and maximum productivity. You can also improve information management and communications among labs and care providers with our innovative, integrated software solution, Myla®. Through efficient patient triage, proactive scheduling and active discharge planning, you can reduce the length of patient stays, and gain capacity in your system in terms of beds and staff time. bioMérieux’s Continuous Improvement Events helps you map the process to identify bottlenecks and the main causes of delayed discharge at all points of the healthcare pathway. Continuing education and training are critical to ensuring staff capabilities and satisfaction. When you support staff members in developing their skills and ensuring they feel their skills are being used appropriately, they are happier and more efficient. bioMérieux offers a full range of training courses, suited to all levels and positions. 60 to 70% of medical decisions are based on in vitro diagnostics1. That’s why a focus on helping lab personnel maximize their skills brings big impact to the whole organization’s efficiency. Our consultants can help you increase your lab’s productivity by up to 30% with a LEAN Lab Assessment that gives staff the opportunity take control of their own personal development. Our experienced outside perspective brings clarity to identify inefficient working practices, guide positive change and increase motivation.